The expert combination of the Mega brush and the collagen enriched formula creates an amplified lash impact for up to 24H. 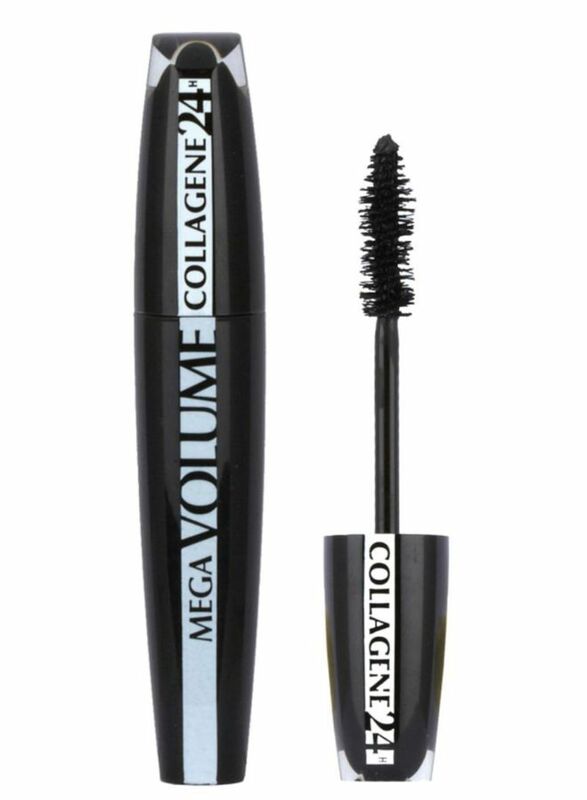 The Mega brush is 2x bigger than a classic mascara brush to build volume fast. Ingredients: Aqua, Dimethicone ,Cyclopentasiloxane, Isotridecyl Isononanoate, Glycerin, Dipropylene Glycol, Polymethylsilsesquioxane, Candelilla Wax, PEG-9 Polydimethylsiloxyethyl Dimethicone, Ozokerite,Caprylyl Glycol, Ethylhexylglycerin, Sodium Dehydroacetate, Disodium Stearoyl Glutamate, Tocopherol, Propylene Glycol, Citric Acid, PEG-9, Aluminum Hydroxide etc. How To Apply Place brush at base of lashes and gently sweep up to tip.